When you have multiple cats, a situation may develop where you need to feed one or more of them a special diet. If your cats have spent a long time eating together and chowing down whenever they want (eating free choice), you may find it difficult to transition them to another feeding style. One or more of your cats has a medical condition requiring a special diet and no other food. One or more of your cats is overweight and needs to be fed a special diet and/or only a specific amount of food. Your cats fight over food, or one of them is kept away from the food bowl by another. This is known as resource guarding, and it's pretty common in groups of cats. One or more of your cats takes medication mixed into his food. Your cats are different ages and need different life-stage foods. For instance, a kitten needs special food for growth and shouldn't eat a diet meant for adult cats. Be sure to discuss any diet change or reduction in food with your veterinarian first. The first step to take when you decide you need to feed your cats separately is to provide them with meals rather than having food always available free choice. This is often the step that creates the most dread in people, who may worry that their cats will bother them incessantly if the food bowls aren't always full. It is true that meal feeding will take some getting used to for your cats if they are accustomed to having food around all the time. Generally, most people find that it takes about a week for their cats to adjust to such a change. When switching to meal feeding, first consider your schedule and determine the times of day when you will be able to provide your cats' meals most routinely. You can give two or three meals a day depending on your schedule. First, choose an area where you will feed each of your cats. Prepare their food dishes ahead of time, then place them where you want them, and invite your cats to eat. Use treats (if your cat can have them), positive words, and petting to show each cat which bowl is theirs and supervise them while they eat. Consider using Feliway to help calm your cats during this adjustment period. 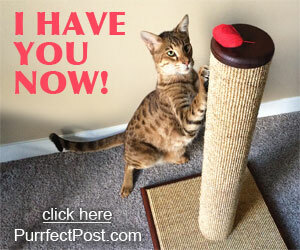 You can learn more about it here: "Feliway - A Useful Tool to Help Treat Stress in Cats." Remember not to make sudden diet changes for your cats. If a new diet is necessary, make a gradual switch to avoid gastrointestinal upset. Check with your veterinarian for specific information. Initially, your cats probably won't finish the food in their dishes when you switch to meal feeding because they won't understand that you'll be picking the food up. During this transition time, you may need to feed them more often so they don't get too hungry while they're learning the new routine. Here are a few additional tips for how to go about feeding cats separately. You may choose to use one or mix-and-match several depending on your household's needs. Feed the cats in separate rooms. Train each cat to eat in a different room of the house, and close the doors between them during meal times. Be sure to provide water in each spot, too. Feed the cats in the same room but at different times. You will need to lock the other cats out of the room when it is someone else's turn to eat. Feed cats in the same room but divide it with baby gates. If your cats aren't very agile, you may be able to gate them off into separate sections of the same room during mealtimes. Feed the cats on different levels. Sometimes, if the cat needing the special diet is older and can't or doesn't jump, you can simply put one cat's food on a stable shelf or table and the other's on the floor. This will only work if it's acceptable for the more agile cat to sometimes get some of the non-jumper's food. Be patient with your cats and yourself during the feeding style transition time. Don't give up if the first few days are hectic and make your cats (and you) grumpy. 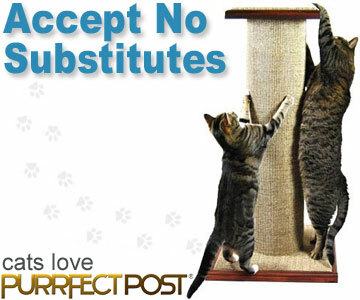 Stick to it, and you'll find that everything smooths over fairly quickly, and your cats will accept the new routine. Ethoxyquin, Mercury, and PCBs: Is Feeding Fish Safe for Cats? Is Pumpkin Good for Cats? What Should You Do If Your Cat's Food Is Recalled?